Minister of State, Patrick O’Donovan T.D. 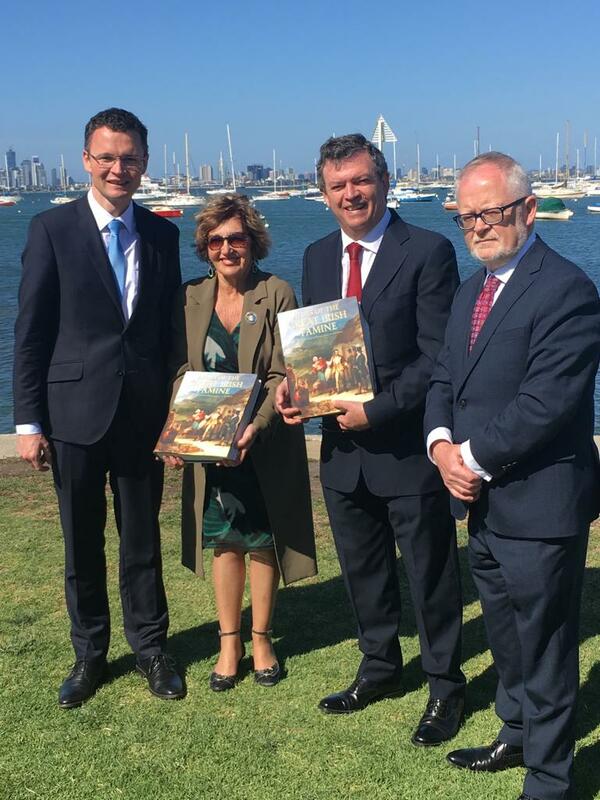 Councillor Angela Altair, Lord Mayor of Hobson’s Bay Frank McGuire, Member of the Victorian Parliament. The International Famine Commemoration for 2018 takes place at the Famine Rock in Williamstown, Melbourne on Sunday 28th October. Over 4,000 young Irish women and girls travelled from the workhouses of Ireland between 1848 and 1850 under the Earl Grey Scheme, in search of hope and a new beginning. The Famine Rock commemorates their arrival. While in Australia, Minister O’Donovan will also meet with Irish community groups and Australian Government representatives.